I’ve been following RHEA COSTA’s evolution from the launch of the brand in 2009. And what an evolution it is… Rhea Costa grew every year into one of the best Romanian fashion brands today. With its unique style, best seen in their ready-to-wear and evening collections, RC managed to catch the attention of the Romanian buyer, but also of celebrities worldwide. Andreea Constantin is the head & hand beside the brand, signing every collection with intuitive talent. She has no experience and no studies in fashion design, but this never stopped her from following her dreams. I’m mostly proud on designers that are able to create beautiful collections without having studied fashion (like myself), because it proves that it only takes talent & hard work to succeed. 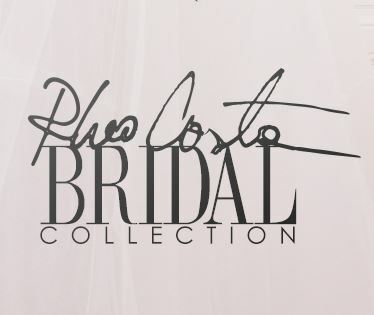 RHEA COSTA has 4 collections: Ready-to-wear, Evening, Bridal and Accessories. All beautiful and special in their own way, but today I’ll share with you the new Bridal Collection for spring – summer 2015. A lot of lace, tulle and a little bit of sexiness; just the right amount to spice up the things, all wrapped in a modern classy look. If it fits your style and fulfills your dreams of the perfect wedding dress , go ahead and visit one of her stores.